In this article I’ll show you how we can setup WordPress with Docker in yet another way. We’ll use a tool called Wocker (WCKR) to simplify our workflow. 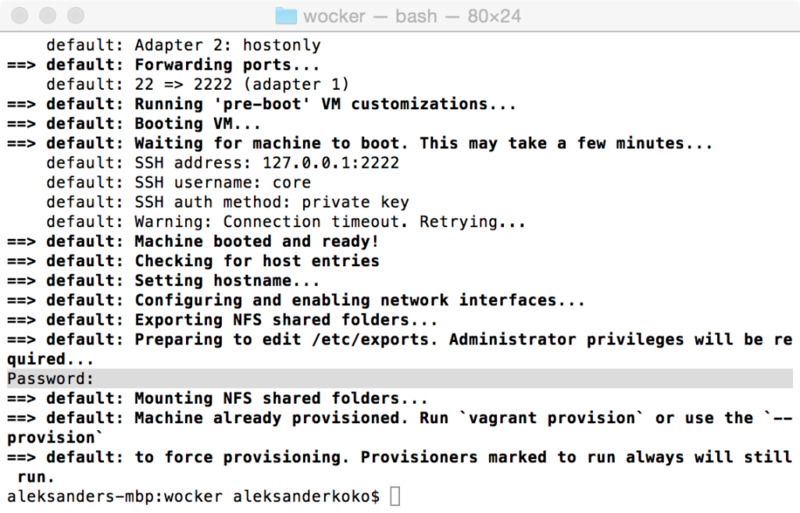 The first command clones Wocker from its GitHub repository and the second is just our standard vagrant up command that builds (provisions) the machine. If you’d like to follow along, make sure you’ve installed VirtualBox and Vagrant if you haven’t already. A quick note here, in most nix* systems, you may have to execute sudo or pass sudo a password when you run vagrant up. You can manually add 172.17.8.23 wocker.dev to your hosts file. This line will depend on your OS. The easies way of all is to install the ‘host updater’ plugin. This plugin makes the job of updating our hosts file much easier. Now, you should be able to visit the IP or the hostname of your VM in your browser, both should work. Let’s look carefully at your folder. Besides the Wocker files that you cloned from Github, there’s also a folder called data. In this folder you’ll see everything from WordPress (including your themes and plugins etc.). You’ll see some information on how to use this CLI. The commands are self explanatory, but feel free to experiment and practice. A note here about the commands that aren’t in the help information. 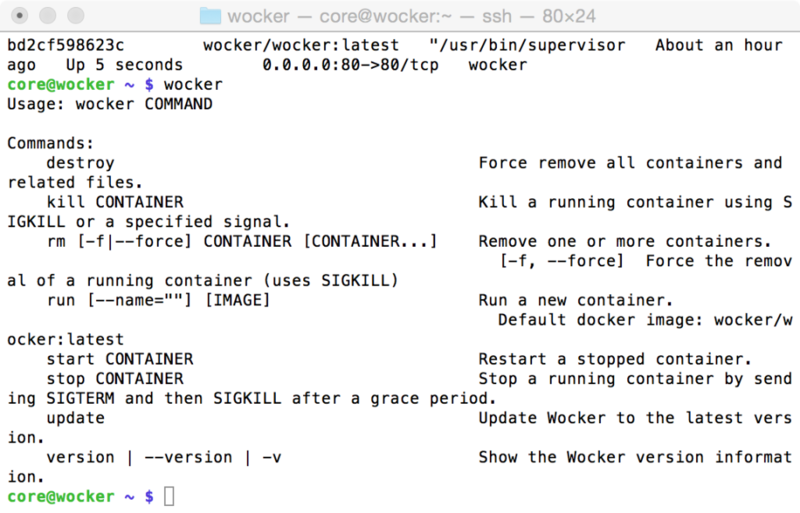 If you execute a command that is part of Docker CLI and not part of Wocker, then Wocker will execute it. That’s because Wocker extends Docker. The first command stops the container named wocker. The same thing can be done with docker stop docker and wocker start docker. There’s one more step, because you have to start wocker manually this time. The first time when you create the VM, you don’t need to start docker, but from then onwards you do. Check your browser, everything should now be working! Curiosity is a powerful tool. In our jobs as developers, it is even more important. My moto is to be curious about the tools I use. This way I understand how the tool works. The Wocker CLI is a simple tool. It’s actually a simple Bash script. You can check it out if you look at the Vagrantfile in the root directory of the project. Or, you can view it here. If you’re even more curious (I’m glad to hear that! ), you can look into what Wocker uses for its containers. 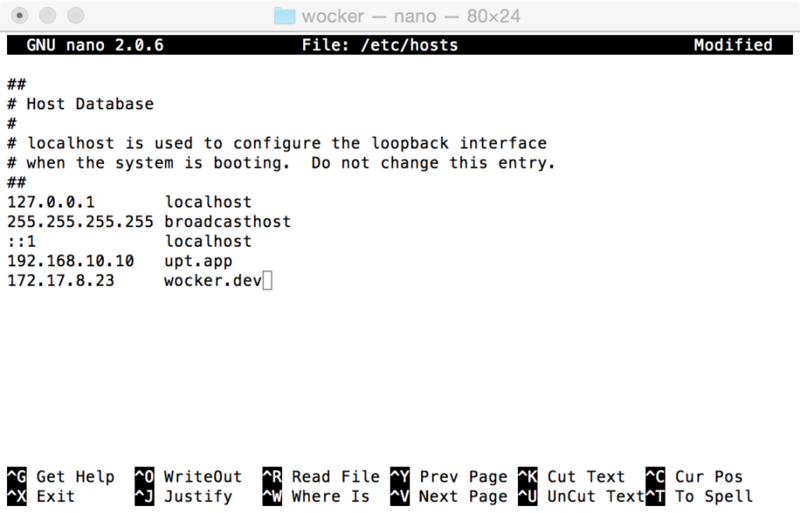 Wocker uses an image named wocker/wocker, we can find out more on Docker Hub. On the Wocker image page you’ll find a link to the Dockerfile. If you want to change it’s behaviour, you can fork Wocker repository. Before I talk about what I don’t like about this tool, I’d like to say that I really think it’s a great tool for those who have little or no experience with Docker. The MySQL problem is a big one if you think about the concept behind Docker. Docker was created to keep things separated and to build things with architecture in mind. 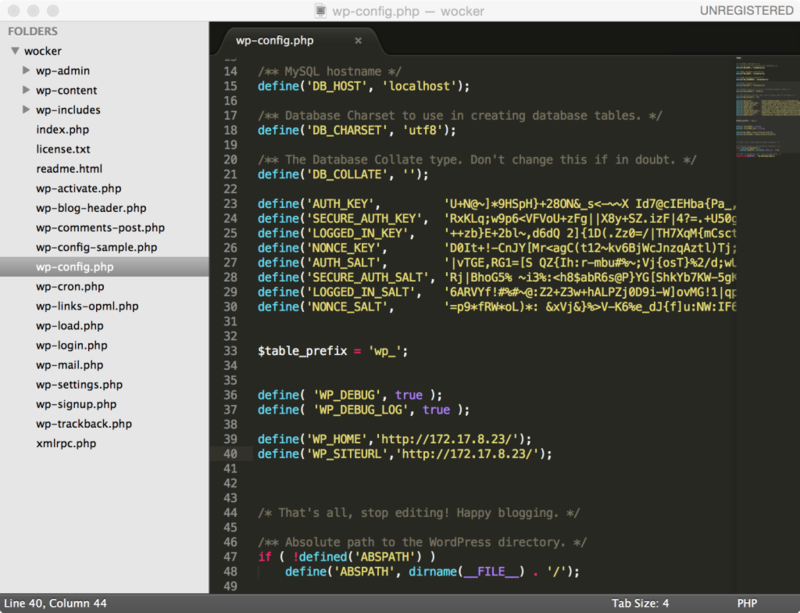 Running Apache, PHP and MySQL in one container isn’t ideal. But Wocker was built with simplicity in mind and for new Docker and WordPress users and does its job very well. In this article we’ve seen what Wocker is and how to get started using it. 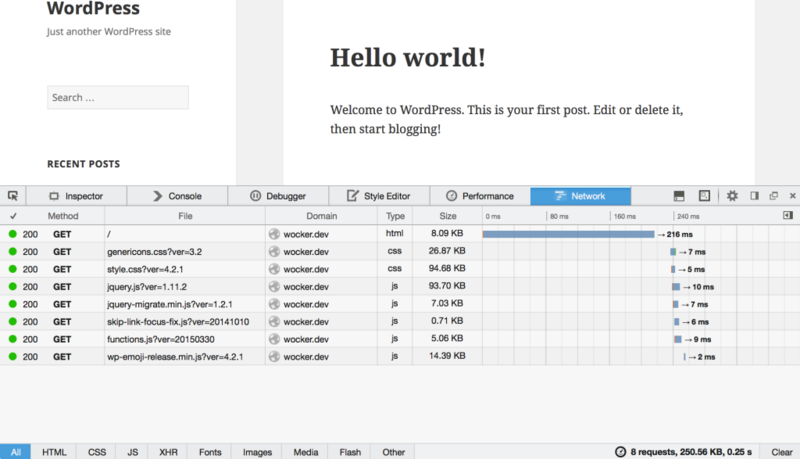 Wocker is easy to install and if you’re a new member of the Docker community, consider using this tool for your next WordPress project. I want to hear from you. What do you think about Wocker? Would you consider it on your next project? Have you used other similar tools that you can recommend?